It’s easy to think of sleep as simply turning off your consciousness for several hours, like shutting down a computer and rebooting it later on. The process is much more complicated, involving different stages that your body needs to cycle through in order to feel healthy and energized in the morning. Read the following to find out what part of the cycle is restorative and why it’s a crucial part of the nightly experience. 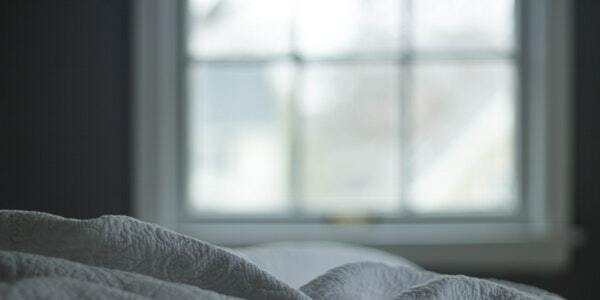 The first thing you should know about understanding your sleep cycles is that there are two main types of sleep that occur — one is called the Rapid Eye Movement (REM) cycle and the other is the Non-REM cycle. The REM cycle typically happens after ninety minutes of when you first drift off and then repeats several times throughout the night. This is the time when your eyes move quickly in different directions, the heart rate increases and the brain experiences more activity. People will recognize this as the period where they have vivid dreams or nightmares. Non-REM or NREM is composed of four stages of sleep starting off with the lightest experience similar to that of a quick cat nap and then slowly moving into deep sleep. Stage four is when the body is in a profound state of relaxation, so there is no noticeable muscle activity or eye movement taking place. This is when it is difficult to immediately wake a person up and if you manage it, they will be groggy and confused. This is the most restorative stage when the body stimulates growth, boosts the immune system and repairs muscle. Ultimately, it’s the time that the body takes to heal from any forms of damage or stress and replenishes itself for the next day. Reaching the fourth stage is important for you to feel energized when you wake up in the morning. This nightly restoration can be undermined by disorders like obstructive sleep apnea because blockages of the air passage interrupt the cycles, making it more difficult for the body to reach a natural state of deep sleep. People may not even be aware of how many interruptions occurred in the night since they didn’t wake up or they don’t remember doing so. It’s possible for the choking or pausing to happen thirty times or more in an hour, continuing through the entire night. There are sleep apnea treatments in Toronto that people can undertake to make it easier to breathe and to guarantee that they reach their essential stages of deep sleep every single night of the week. The most effective treatment plan will be CPAP therapy, which stands for continuous positive airway pressure. A device with an attached mask covers your nose and/or mouth and then sends filtered air into your system, so the passageway stays completely clear even if your throat relaxes. This guarantees that oxygen reaches your brain for you to feel replenished and energized in the morning. The process will also make sure that you don’t disrupt your cycles by waking up gasping, choking or snorting. You can get yourself a high-quality CPAP machine in Canada along with accessories that will customize your particular experience and that will make the form of sleep therapy feel natural. If you don’t live in the city of Toronto, rest assured that you can find the reputable source for CPAP equipment in Barrie and other Ontario locations like Mississauga and Vaughan. Going to sleep is not as simple as shutting your eyes, losing consciousness and waking up feeling renewed the next day. The process is delicate, complicated and can be disrupted by chronic disorders like obstructive sleep apnea. By getting the right type of treatment, people living with sleep apnea can rest easy and finally reach the stage of deep sleep.